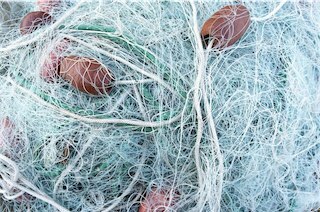 Two NGO‘s were instrumental in setting up the “impossible” win on Driftnets. The same person created and directed both organizations’ campaigns. By clicking on this link, you’ve proven either interested or skeptical enough to wonder why anyone has said that DJ White’s campaigns may have saved a record amount of wildlife. In a world of frog-swallowing contests and motorcycles jumping over flaming fountains, it would be a worthy record to aspire to. However, those who have chosen to list world records do not yet chronicle “amounts of wildlife saved”, or analyze the often-labrynthine chains of events which can lead to such an occurrence, much less the person or people who may set such chains into motion with clear intent. Indeed, there is a prevalent feeling among many people that global-scale outcomes are inevitable in retrospect, despite all evidence to the contrary, and that individuals seldom make a big impact. Yet many people have noted the enormity of the driftnet victory, and some have pointed out that to an extraordinary degree it was planned and executed by White. Bob Sulnick and Ted Danson of American Oceans Campaign called White the “patron saint of the global Driftnet movement”. Lloyd Bridges, EarthTrust’s honorary chairman, called it the “largest and most successful campaign to save ocean wildlife, ever”. “As the Regional Director of a Programme which is directly concerned with the productive capacity and environmental sustainability of the oceans, I have observed the progress of the Driftnet issue; which was brought to international prominence by Earthtrust’s expeditions, research documents, and video productions of 1988-89. Despite its comparatively small size as an international organization, Earthtrust maintained credible pressure on the issue in the face of intense lobbying by driftnetting nations; building a network of concerned individuals, businesses, legislators, and others. The UN Driftnet resolution of 1989, the follow-up resolution of 1990, and the final defining resolution in November 1991 are results of Earthtrust bringing this issue before the international community; an inspirational victory showing the power of good research and effective presentation”. Sir Geoffrey Palmer, former Prime Minister of New Zealand and the man who co-wrote and introduced the initial driftnet moratorium resolution to the United Nations with NZ co-sponsorship, has stated in print and in video interview that this would have been impossible without EarthTrust’s Campaign. (Palmer joined EarthTrust’s international advisory board after the UN Moratorium went into effect). (2) White was involved in direct negotiations with the head of Japan’s driftnet fleets, Sakutaro Fujiya, beginning in 1982. He brought Greenpeace International into the issue when he created its dolphin campaign in 1982, but sufficient funding for a driftnet campaign in the Bering Sea was rejected by GPINTL due to it being an “unwinnable and confusing” issue. White brought the campaign ship Rainbow Warrior into the Pacific and prepared to proceed anyway. (3) Flying to Atlanta, White enlisted Ted Turner’s formerly-reluctant funding by creating a Soviet mainland invasion mission to protest whaling (also without going through GPINTL channels). In this way, White secured the funds to both fuel the ship Rainbow Warrior to the Bering Sea and a contract for a guaranteed international CNN documentary on Driftnets, with co-ownership of images. In 1983, this expedition became the first to film and confront deep-sea driftnetters. In 1984, White helped write and edit the documentary “From No Man’s Land a Porpoise Cries”, which was the world’s first documentary on driftnets. White coined the terms “Walls of Death” and “Stripmining the Seas” which became synonymous with the issue. (4) In 1984, GPINTL denied funds for White’s planned mid-pacific expedition to expose the huge “red squid” driftnet fleet, the largest and most destructive fishing fleet on earth. At the end of 1984, it removed White as International Dolphin Campaign Director and split his authority among 3 campaigners. Alan Reichman inherited the Driftnet campaign, but little funding. (Working with Don and with footage from the ’83 expedition, he did manage to get Australia to expel Taiwanese driftnetters from their EEZ in 1986). (5) No expeditions or exposes were launched against the red squid fleet – or any driftnetting fleet – in 1984, 1985, 1986, or 1987 by any entity. Few conservationists or scientists were even aware the fleet existed. The issue existed at a low level in the background noise of the conservation movement. The US Marine Fisheries Service had only a token exchange program of 4 observers with this 1200-ship fleet. The issue was not on the radar screens of most nations, scientists, or conservationists. Forward motion had stopped. (6) White continued the issue as a personal crusade, despite a lack of funding. Leaving GPUSA in 1985, he vested his energy in EarthTrust, an organization he had previously founded. It took him until 1988 to mount a deep-sea expedition. This expedition was the first to ever confront or film the squid driftnet fleet, and it was pre-planned well enough that it obtained images calculated to galvanize the world. The expedition was funded on a shoestring by White who had taken out a loan secured by his house, by the crewmembers, and by small donations from two organizations, AWI and API. White enlisted Sam LaBudde as issue spokesperson, set up the underwater filming apparatus, and defined the images which the campaign had to bring back to catalyze a global movement. It did. (7) The footage of carnage was carried internationally by major news media, raising the issue to new prominence. In 1989, at EarthTrust’s video production facilities, Don White produced a half-hour video briefing co-written by himself and Sam LaBudde, telling the real story of deep-sea driftnetting. This video, “Stripmining the Seas”, would be the principle catalyst, and a key focal point, for the new global movement. (8) Don commissioned lawyer and noted fisheries expert Linda Paul to create the definitive “driftnet” briefing document, bringing together all the world’s existing research and data on driftnet operations. This document, which ran hundreds of pages, became the other major focal point. The video and briefing document , shown at the 1989 San Diego IWC meeting by EarthTrust in a main meeting room, caused the International Whaling Commission to undertake a special meeting to consider the effects of drift gillnetting on cetaceans, and got major conservation groups aboard the issue substantively for the first time. (9) Don sent Sam LaBudde on an EarthTrust tour to push the issue, and disseminate the video and briefing document, while ET launched a tour to involve fisheries around the world in the fight. LaBudde galvanized strong emotion on the issue, kicking off moves to adopt U.S. legislation against driftnetting. As a result of this tour, “driftnetting” was also added to the proscribed list of the DPCIA, which defined “dolphin safe” tuna in 1990. Don and Sue White met with fishery cooperatives up the west coast into Alaska, securing anti-driftnet alliances with redneck fishermen who generally hated treehuggers. Don sent Jim Logan to Thailand to enlist the international sportfishing associations in the cause. Earthtrust made it possible for anyone to order copies of “stripmining” directly in bulk from distribution centers for the cost of duping only, and encouraged that private individuals dupe and distribute them. Soon thousands of copies were making the rounds. (10) The unique and compelling 1988 EartTtrust campaign photos were taken by Greenpeace International as used as their own in the South Pacific, where full-page fundraising ads were featured with ET’s “dolphin in a driftnet” images. Shortly thereafter, in mid-1989, Don sent Sam to New Zealand, where he did a personal screening of “Stripmining” for NZ Prime Minister Sir Geoffrey Palmer. Palmer, who subsequently joined the EarthTrust Advisory Board, became the main South Pacific proponent for regional driftnet bans. Palmer led the South Pacific Forum to regionally ban driftnet vessels, as an EarthTrust vessel patrolled the Tasman Sea in 1989 to highlight Japan’s interception of tuna there. Later in the year, Greenpeace Intl ended its 6-year moratorium on driftnet expeditions and photographed the Japanese fleet off New Zealand. The issue had become acceptable. (11) Sir Geoffrey Palmer co-wrote the first United Nations Driftnet resolution, which was co-sponsored by New Zealand and the USA under Palmer’s authority as PM, and which passed the UN. Palmer emphatically stated that it was the EarthTrust campaign, images, and research that made this possible. (12) The Japan Fisheries Association launched a highly-funded anti-EarthTrust campaign, featuring a video called “The Truth About Driftnetting”. Only EarthTrust was mentioned or rebutted; clearly the largest organization of driftnetters felt there was only one key entity to challenge. The weight of Japan’s PR director Alan Macnow and Tele-Press associates began a war of PR against EarthTrust’s credibility. (Which was to be repeated in the mid-90’s on the whale DNA issue). The NZ delegation to the United Nations, and many others, reported that Japan was making headway to scuttle the final, definitive driftnet resolution of 1991. (13) On an emergency timeline, Don and Sue White created a video rebuttal to Japan’s piece, entitled “Closing the Curtains of Death”, and Linda Paul and Sue White updated the briefing document to rebut every one of Japan’s spurious claims. (14) In the month prior to the final Driftnet vote, Don flew 10 EarthTrust staffmembers to an office it had opened in New York, for an all-out United Nations blitz to put up against the campaign Japan and its PR firm was pushing. This was more staffmembers working the UN on this issue than the total fielded by all other conservation groups combined. The ET team visited and/or presented materials to every single UN delegation, and sat them down with the videos, the documentation, and answered questions posed about it. (15) The final UN resolution – for a total moratorium on pelagic driftnets beginning in 1991 – passed unanimously, and has stood to this day. Even Japan, in the end, had to vote for it because ET had used Japan’s own data to refute Macnow’s public claims. (16) No definitive counts were ever done of the pacific’s biodiversity prior to the expansion of the driftnet fleets, so estimates must suffice for biomass and species taken. UNFAO documents state that roughly 1 million dolphins per year were being taken. There was a fleet of 1200-1300 ships fishing year-round in the northern and southern hemispheres of the Pacific alone, each roughly 200 feet long. Moreover, as much as 90% of the biomass taken was discarded at sea. By 1989, an estimated 50,000 miles of net-wall were being deployed nightly in the North Pacific. Thus, this fishery may probably be accurately described as the most destructive in history in terms of biomass taken as well as biomass wasted. These fleets accounted for the largest global kills of seabirds, sperm whales, leatherback turtles, dolphins, and myriads of unnamed species. (17) Now the driftnetting fleets are gone, and have been for over two decades. Illegal driftnetting in the Pacific has been monitored by the DriftNetwork for part of the time since, created by Sue White, in close collaboration with the U.S. Coast guard. Taiwan for over a decade brought its fisheries enforcement vessels to Honolulu to be inspected by Don and Sue White of EarthTrust. Dr. Noel Brown of UNEP declared that EarthTrust’s DriftNetwork was the best hope for policing illegal driftnetting. This is a condensed telling of a complicated story, but necessary to show a rationale for the provocative question which began this section. Clearly, (1) DJ White was instrumental in introducing the issue to the conservation world, (2) he created the first expedition and global documentary, (3) he refused to let the issue die when mainstream conservation groups dropped it, (4) he mounted the deep-pacific expedition which obtained the video and photo footage which was used to sell the issue worldwide, (5) he caused all existing global data on driftnets to be brought together by scientists for the first time, (6) he set the stage for regional bans, (7) he provided Geoffrey Palmer the facts and images he needed to secure regional driftnetting bans in the S. Pacific, (8) he and the team he led did pitched media battle against Japan’s PR machine in nations around the world, (9) his team rebutted Japan’s pressure at every UN delegation office, and (10) he and his wife have been active in catching violators of the UN moratorium since the final resolution went into effect. So. The fellow who wrote the original UN resolution and co-sponsored it at the UN says that this was made possible by White’s driftnet campaign, and the final resolution was a direct outgrowth of the first. The driftnetters themselves targeted White’s campaign exclusively, as their perception of the biggest threat to the continuation of pelagic driftnetting. Taiwan still has Earthtrust conduct inspections of its patrol vessels. So was the end of pelagic driftnetting the largest-biomass wildlife victory of all time? Probably, and it’s indescriminate waste of hundreds of species probably qualifies it for a number of other unsavory titles as well. Would the global ban have occurred when it did without White’s initiatives and strategy? Certainly not. Would it have occurred at all without a superlative media strategy, good science, and finely-choreographed pressure from vested interests from around the world? This isn’t knowable, but no other fisheries have ever been ended in such a way, or seem likely to be. Unanimous United Nations votes have happened only several times in history, and never before or since on an environmental issue. So has DJ White’s work directly saved more wildlife than other campaigns? You and history can be the judge. Either way, it’s a pretty good story.